PeopleClaim has designed an advocacy training internship program for undergraduate and graduate students studying in the field of law. The internship program is open to law or pre-law students, practicing lawyers or mediators, and paralegals. Interns will participate in an experimental program of online dispute resolution for a broad range of consumer and commercial conflicts; they will partake in an online forum that discusses live, actual disputes with the goal of identifying key resolution strategies. Interns will be evaluated on the number of disputes they assist with, and how creative and successful their input is. Whichever intern is the most successful throughout the program will be considered the winner of ATIP. 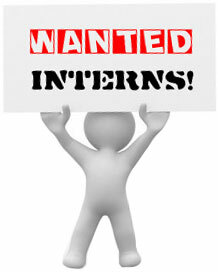 Internship requirement is a minimum of three months; interns are welcome to stay with us as long as they would like. Interns must evaluate and comment on 25 disputes per month and put in approximately 5 hours of online work per week. Maintain a blog discussing insights into conflict theory, alternative dispute resolution, and processes with emphasis online dispute resolution mechanisms. Write consumer rights articles and reports on how to resolve disputes within specific industries. Become a better legal professional. Gain extensive hands on experience with dispute resolution dynamics. Develop negotiating insight and skills. Add concrete experience to graduate school or job applications. Assist disputing parties in consumer health and advocacy issues. Gain a greater understanding of the mediation processes and develop proficiencies in oppositional relationship management. Develop interpersonal skills that will facilitate in managing various types of negotiations, and gain greater insight into all the different areas of law. Must have an interest in helping others. Have a passion for participating and improving the practice of law and dispute resolution. PeopleClaim was co-founded by web entrepreneur Mark Deuitch and Carl Singer, former CEO of Timberland, BVD and Sealy, to help businesses and consumers resolve disputes faster and more constructively. PeopleClaim provides a self-directed dispute resolution process that reduces litigation risk and allows disputing parties to resolve most common types of conflicts through online negotiation and settlement. Unresolved claims can be posted on the internet for public review and comment. Lawyers, consumer advocates, other claimants and the public are invited to review the claims that have been made public and offer suggestions to help the parties in the dispute find better solutions. The PeopleClaim internship is a social experiment in online conflict resolution and settlement. Our goal is to explore ways to assist both disputing parties and the court system in pre-empting litigation and reducing the cost burden of commercial disputes on society and business. In additional to providing you with potentially valuable experience and skills in consensual dispute resolution, your involvement may also help evolve more constructive resolution processes for a wide range of legal and meditative applications. Applicant space is limited and applicants will be accepted on the basis of academic record, enthusiasm and background. This program can be done entirely online. You set your own hours, so it's ideal for students and working professionals. Add quantifiable, hands-on experience to your resume to make your school and job applications stand out. Gain greater insight into consumer, employment, environmental and other areas of law. Want to try it? Start by requesting a pubic mediator profile. You'll be able to review, comment, and suggest resolutions for live cases immediately. There's no cost – apply now. We'll notify you of acceptance within 48 hours. Thank you for your interest in becoming a public mediator.